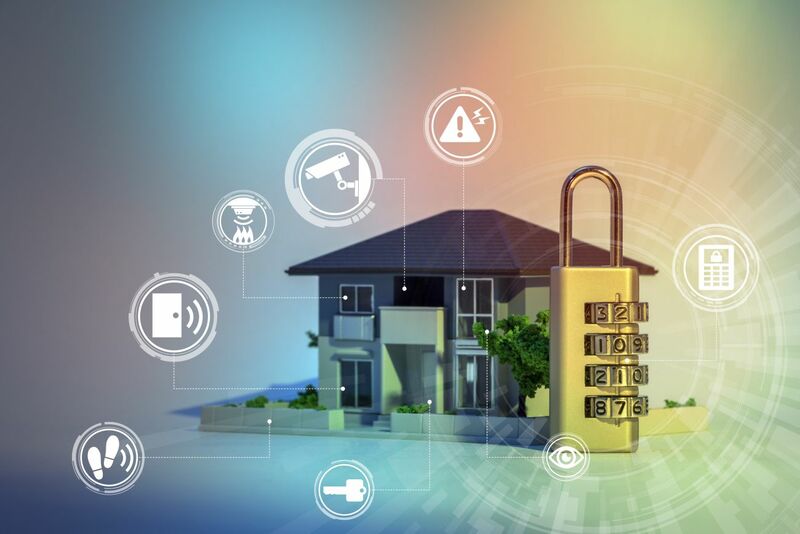 When you are thinking about purchasing a home security system, you have to consider a few things like your habits and the neighborhood where you live. If you’re apt to leave windows open for a burglar or forget to turn on the system when you leave, an alarm system would be a wasted expense. If you are careful and want to keep your home secure, there might still be a few questions you have before purchasing an alarm system. Should I hire a professional for installation or do it myself? While you might want to save money on a do-it-yourself option, if you’re not handy, you’ll want to hire a professional. They’ll ensure the system is secure and set up properly. A professional can answer any questions you might have as well. With a DIY route, the equipment will be delivered by mail, and you’ll receive instructions on how to install it. This can be a good option for those who are using a wireless system. The wireless system can be a great option for those who live an apartment since they can take it with them when moving. There are three different types of monitoring used in a home security system. A landline system uses your home phone to communicate with the monitoring station when an alarm triggers in the home. It can be a problem if the lines to the home are cut since the alarm monitoring center won’t be able to communicate with you. With a cellular system, you and the monitoring center can keep track of alarms. It’s often considered more reliable since the lines can’t be cut, and it’s faster than a landline for contacting the monitoring center. Broadband is another remote form of alarm monitoring and can be faster than cellular, but it’s not as reliable. It depends on the broadband company you’ve chosen. While it might seem like security cameras are overkill to some, they can be great for catching an intruder entering your home. Aside from that, they have other benefits like keeping an eye on your family when you’re not home. You can be at work and see who is at the door, find out when the kids came home from school and watch workers at your home. Cameras can be unobtrusive or clearly visible to deter thieves. You’ll need to find out whether your system and security company offers video cameras. You might have to buy them on your own or go with a company that provides mobile access with your monitoring system. What kind of control do I get with mobile access? It might seem futuristic, but mobile access to your home security system isn’t far-fetched at all. Mobile access allows you to arm and disarm the system through your smartphone or remote computer. You can unlock doors, get real-time notifications and view live video of the home. It’ll allow you to unlock the door and turn off the alarm remotely for visitors, or arm and lock doors if you’re not home, too. This can be a great benefit for people who work away from home, or spend time traveling for work. If you want to have a complete alarm system that includes fire and smoke detection, you’ll want to have a contract with a monitoring center. The center will contact you if there’s an alarm, and if it’s an emergency, they’ll contact the proper authorities to deal with the situation. In the case of a fire, a few minutes can make a huge difference. They’ll be able to get the fire department to you while you’re still trying to get out of the home. A monitored system costs more than a non-monitored system, which should be a consideration.